Shanling has become an established presence in the High End market since its inception in 1988. Expansion in recent years has taken the YBA and Onyx brands under its wing. This is no small boutique enterprise. This is a company of substantial size with all the advantages of larger-scale manufacturing. 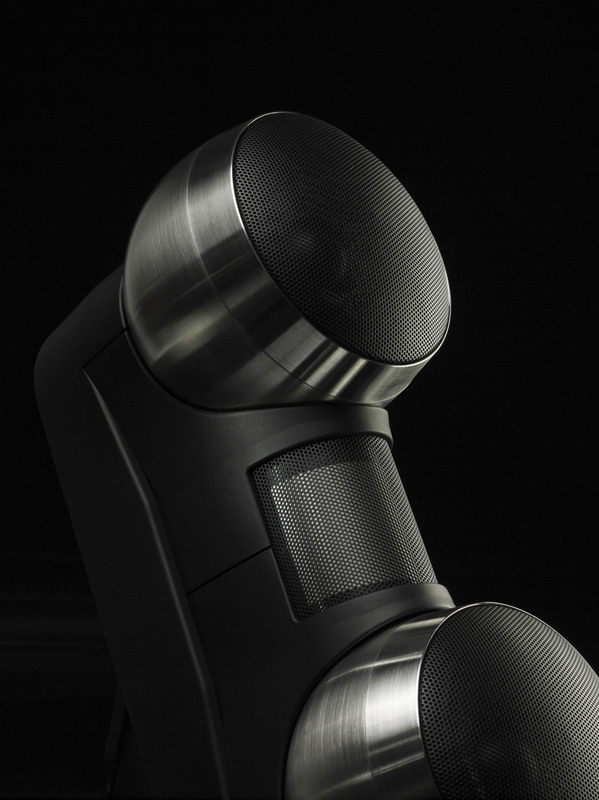 Shanling’s extensive in-house design and construction facilities mean greater control over every aspect of build, from transformers to the stunning aluminum cases that have established an enviable reputation for cosmetic fit and finish. 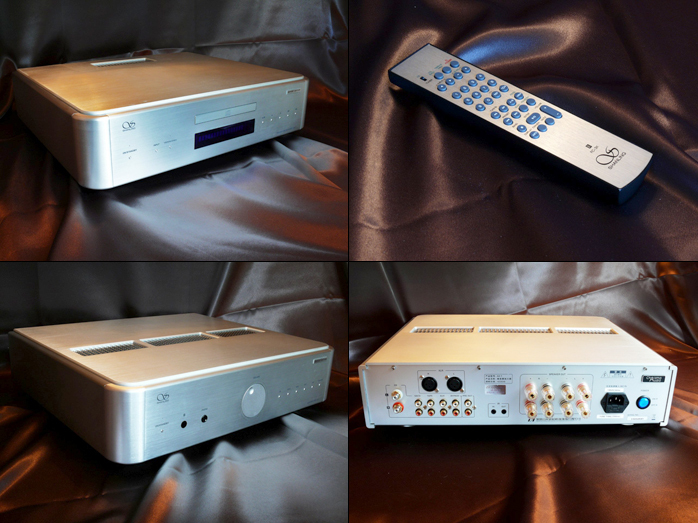 The new 2.1 Export Edition CD player and integrated amplifier continue that standard and are a visually matched pair. Unlike some of their more radically styled stable mates, these two are considerably more conservative. They bear a more than passing resemblance to some models in the Teac Esoteric catalogue, with numerous touches stylistically and ergonomically elegant. There is considerable use of thick aluminum with curved corner pieces all fastened from within so that no screws are visible on four of the outward faces. The only areas to divulge practical compromises are the bottom and rear panels. Those revert to folded sheet metal. Yet even here Shanling went with classier Allen hardware. Internal construction represents techniques of larger-scale production rather than smaller batch or one-off assemblies. Parts are mounted to different portions of the chassis and linked by multi-pin connectors. 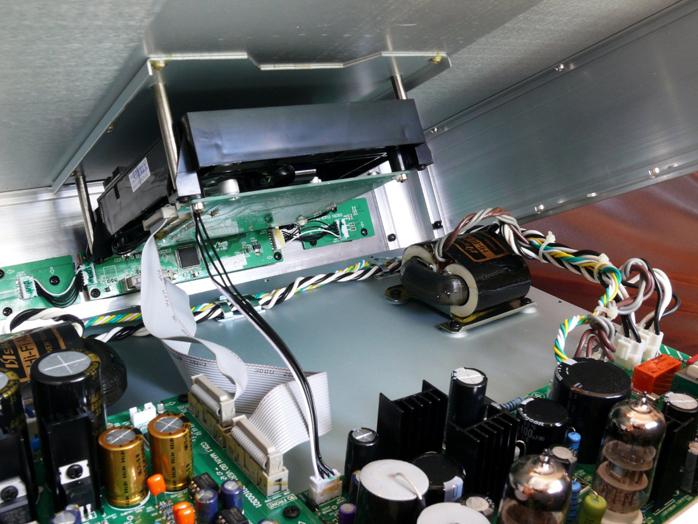 Attention to detail is evident on the CD player whose drive fastens to the thick top plate to minimize surface vibration and divorce it from interaction with the bottom chassis. Certainly these two components have the looks of far more upscale pieces. Is beauty more than skin deep? When the distributor delivered the machines, it was immediately evident that packaging and product were well thought out for shipping. The oversized but manageable cardboard containers were identically sized, double thick and double boxed. Open-frame polystyrene end caps supported the pieces and generous spacing was provided to ensure against accidental mishap. Unpacking revealed the Export Edition pieces as a formidable pair, uncommonly well finished and ergonomically intuitive. They also had the sense of sheer mass prized by the High End community. 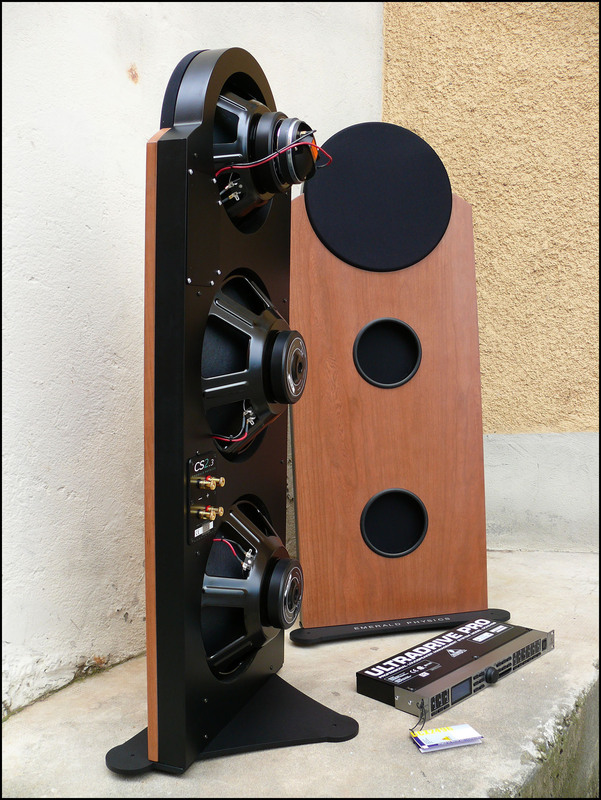 In audiophile terms size really does matter. These measure 460 x 404 x 118mm and 10.2kg for the CD player, 460 x 415 x 118mm and 13.3kg for the integrated. That falls short of wooden crate and forklift necessities but demonstrates sufficient heft to reassure visual and tactile senses. Solid and attractive with practical forethought. 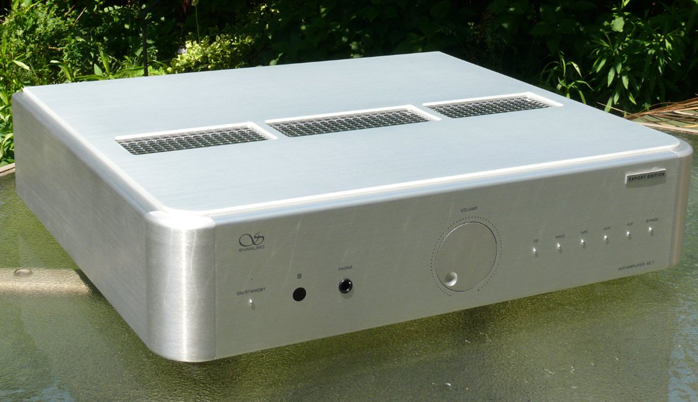 The 2.1 player attempts to satisfy a variety of needs to offer different flavors of DAC outputs (tube RCA and balanced transistor analog) as well as a coaxial digital output. There is also a nod to those moving into new digital realms. The player offers source selection between CD, USB and COAX which is easily identified by the large dimmable blue display. This accommodates playback up to 24/192 but would not amount to much without quality hardware under the hood. Here Shanling made the game interesting. 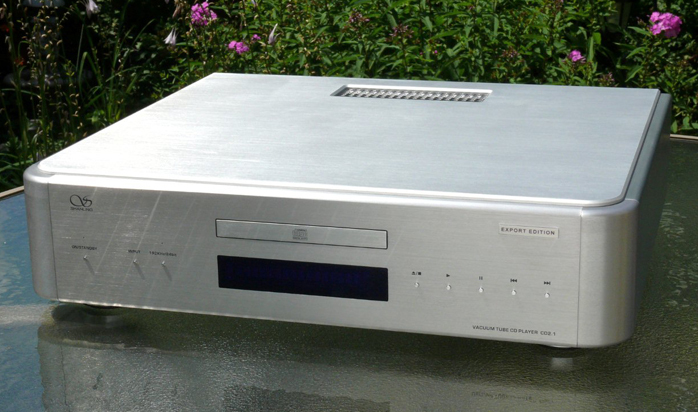 The DAC is the Burr-Brown PCM1792 also used in the Ayre C-5xe as well as Audio Research CD5 and Reference CD8, certainly good company to promise high potential. For the transport Shanling moved away from Philips and went with a front-loading Sanyo HD850 drive and SAA782H servo described as ‘premium’. The parts complement includes Cardas Rhodium RCA sockets; Kimber Kable internal wiring; Wima, Solen, Nichicon and Elna caps; and Kiwame resistors. 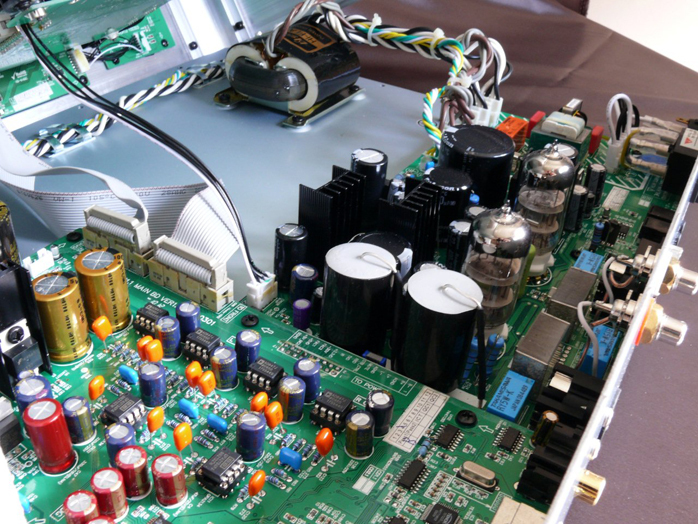 There are separate R-core transformer secondaries for the digital and analog stages. For tubes Shanling picked a pair of 12AU7. On the rear panel is a legacy RS-232 connector and both machines provide IR remote i/o links. The shipment thoughtfully includes a USB cable and basic power cord. Exclusive for our market Canadian distributor Charisma Audio made some internal tweaks on both machines to push their capabilities further. 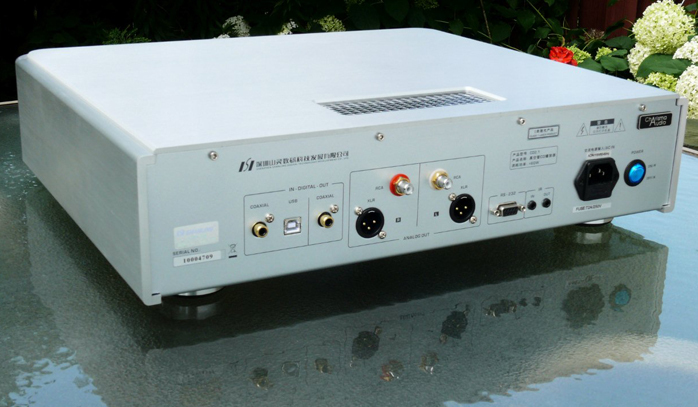 The 2.1 Export Edition amplifier is a class AB transistor design aimed at loudspeakers of medium efficiency, pumping out 100/160wpc into 8/4Ω. Construction is identical to the CD player. The volume control is unusual in style and execution. The flush-mounted 2-inch diameter wheel is controlled by recessed finger hollow and although silky smooth and solid is in fact a virtual rather than mechanical device. Here we have an elegant High End interpretation of a familiar iPod feature and execution is flawless. A digital volume control works behind the scenes. The level is indicated by a progression of 63 small red LEDs surrounding the rotary control. 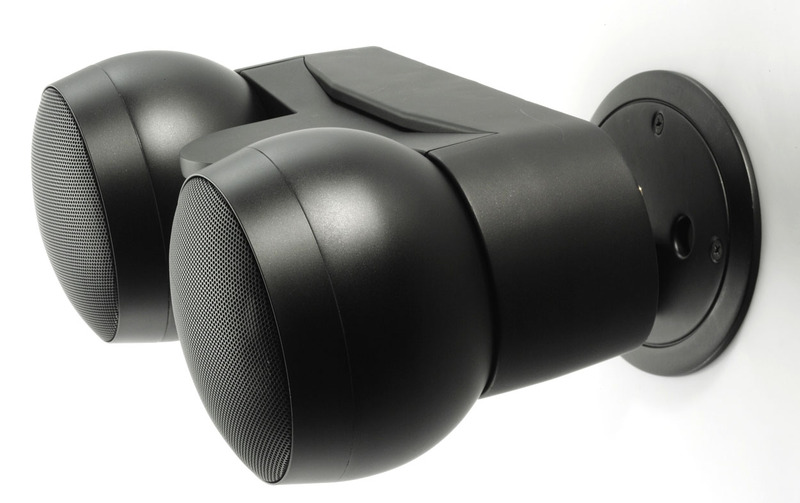 The pot has a range of 80dB, each LED representing a change of slightly greater than 1dB at the lower end of and 1dB at the higher ends of the scale. With the remote the mechanical knob remains immobile. Source selection and power are provided by a small series of push buttons lined across the front right clearly marked and confirmed with a small red pin light above each switch. The front panel power button on either machine is a standby function. The real power switch is around back, a rather attractive blue circular switch instead of the more industrial variety. Standby mode on both units is indicated by a red LED. Fully on goes blue.